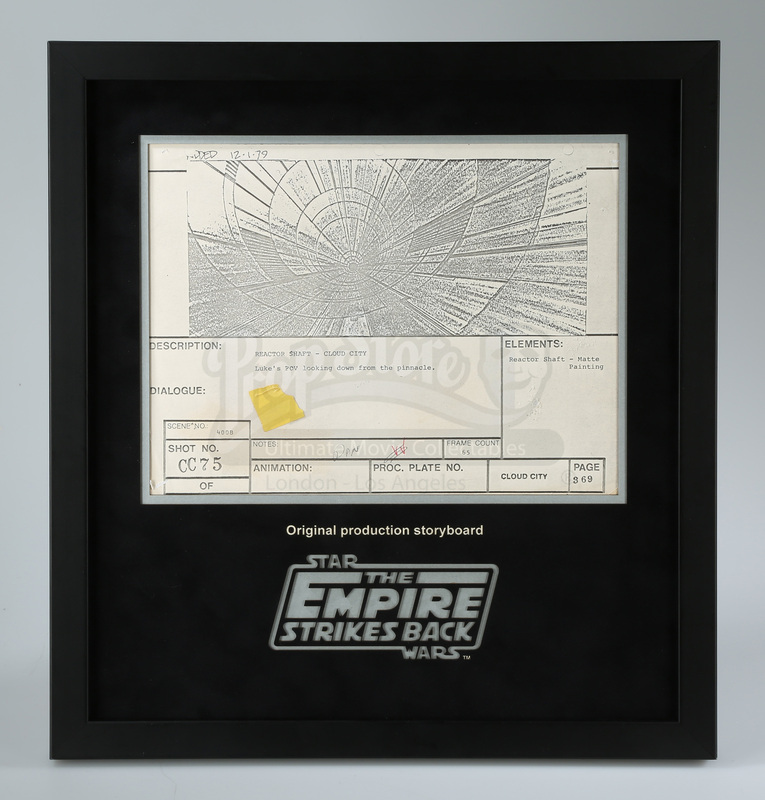 A framed, production-used storyboard copy used in the production of Star Wars Episode V: The Empire Strikes Back. 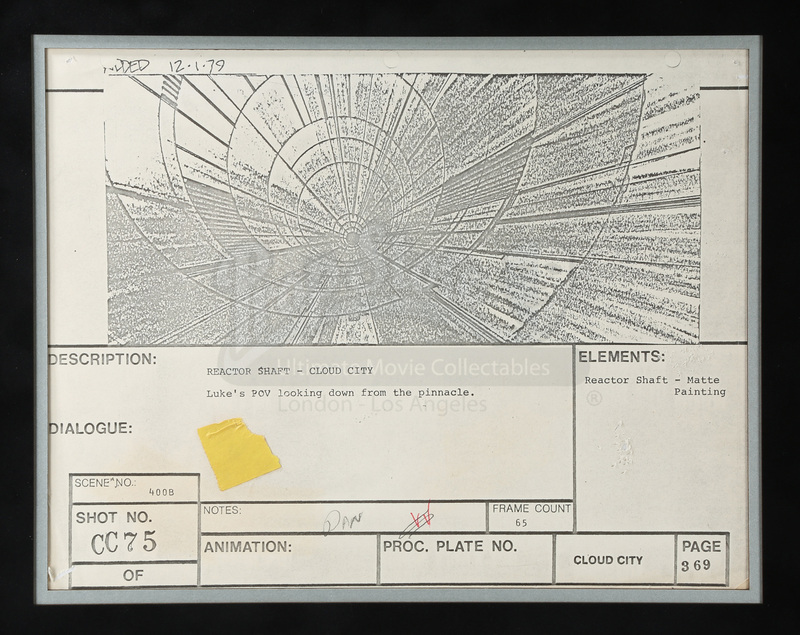 This board shows an image of Luke's (Mark Hamill) point of view as he looks down the Cloud City reactor shaft. The production used copy has a printed description beneath the illustration, numbered CC75, and is printed on US Legal-sized paper. It is hole-punched at the top, indicating that it would have been held together in sequence with the rest of the storyboard pages. It comes framed in a custom built display with laser-cut mount board etched with the iconic movie title.